It’s 8am and as is customary for a Saturday morning I’ve not had much sleep. 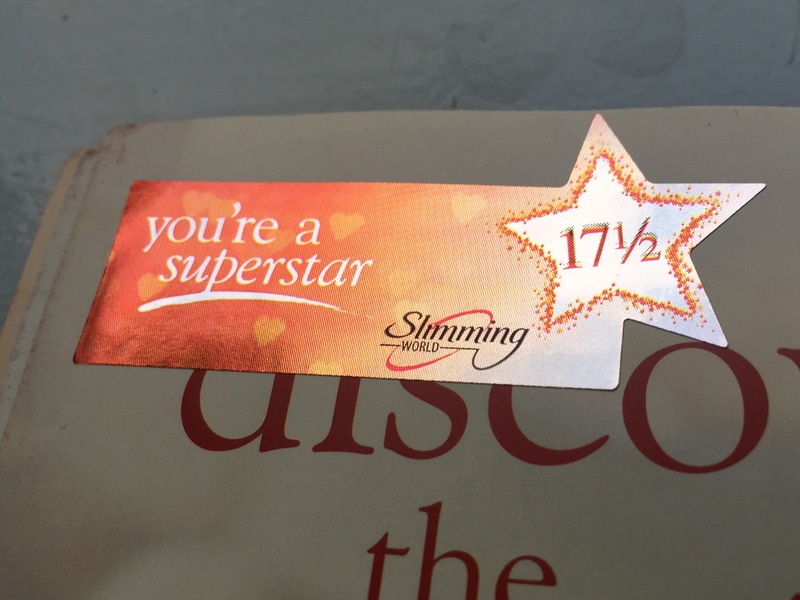 Today I’m doing another two motivational talks at Slimming World meetings – and rather nerve wrackingly one of them is my own group. I’m not entirely sure why this makes a difference – but it does, because whilst others see me as I am today, a lot of these people have seen me as I was back then. They know a lot of what I’ve been through and I like them a great deal. I feel like I mustn’t disappoint them. In common with all perpetually paranoid slimmers this morning I’ve dressed in nice light clothes and headed off to group early so that I can weigh in before the talk (that way I can drink coffee beforehand!) and see how my week of #onplanoctober eating has panned out. I’m also dressed smarter than usual in a shirt and trousers in an effort to give me confidence. Now – interestingly this is most probably the best week I’ve had in a LONG TIME with regard to being on plan yet I lost ‘only’ 2lbs – which is less than I did last week (that was 6lbs). However – whilst the old me might have taken this as a negative – new and improved Davey sees this as a win. A loss is a loss – and sticking on course will mean I’ll get where I want to be on averages – not massive weekly drops. 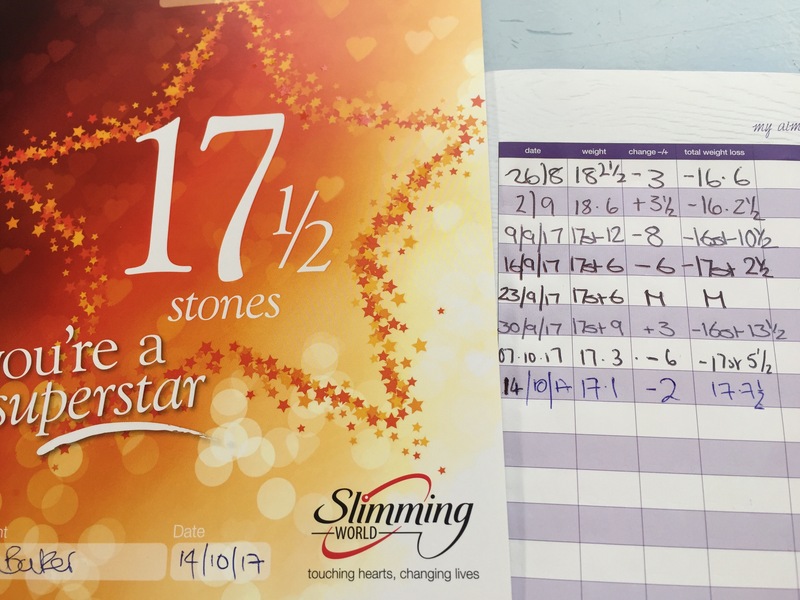 I also have my seventeen and a half stone certificate baby!!! Although yesterday’s post was all about non-scale victories – this is still flipping fantastic!!! Today was also food tasting day. 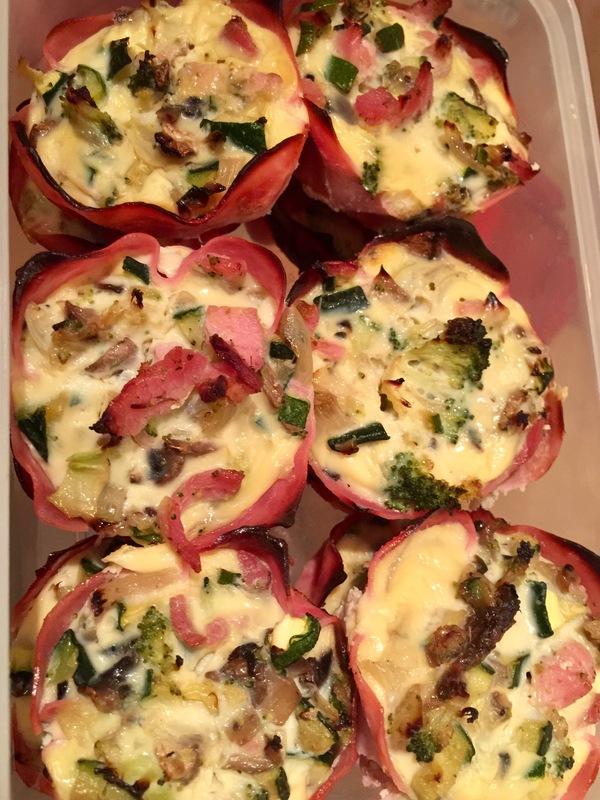 I usually cook mine early in the morning on these occasions – but yesterday evening I had to make something quick and easy that would keep overnight – so I fell back on a batch of the mini quiches I love so much. 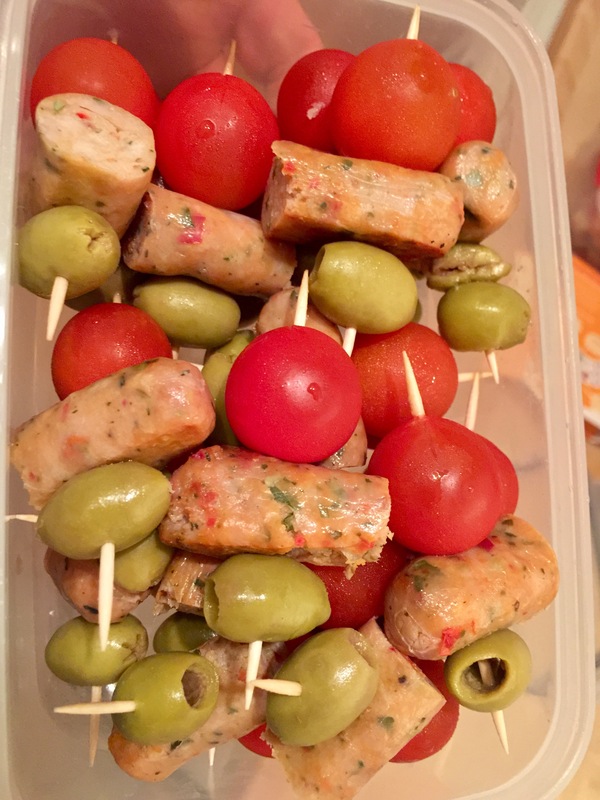 In order to assuage my guilt for not making something new (which is what I always try to do) I decided to compliment them with ‘things on sticks’ and made some olive, cherry tomato and sausage cocktail nibbles to go with them. 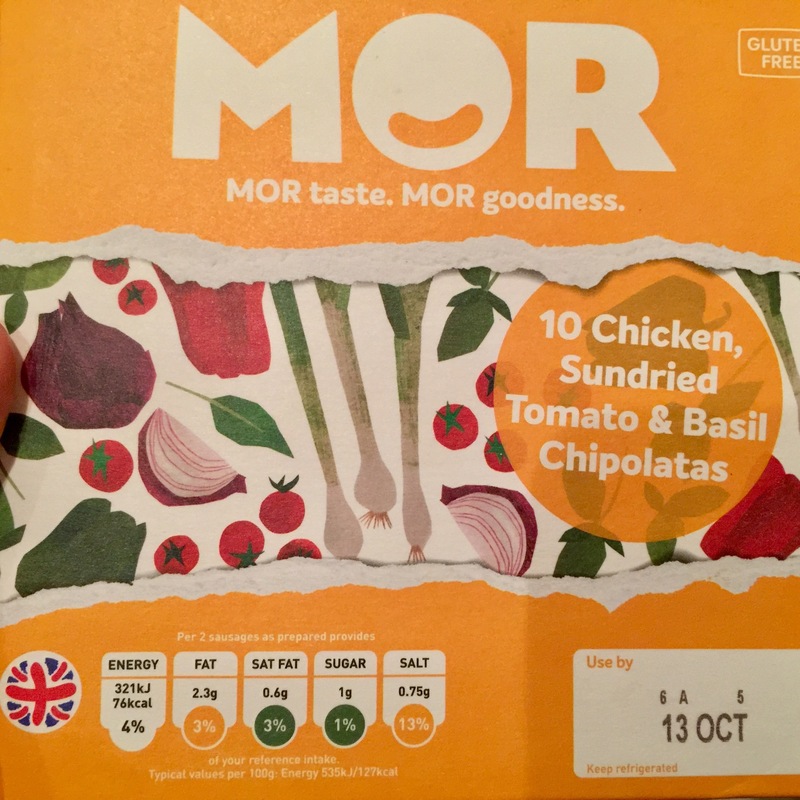 These tasty little chicken, sun dried tomato and basil chipolata sausages are one syn each (each stick is 1/3) and they go really nice with an olive (10 for one syn) and a cherry tomato. Everyone else’s food was (as always) delicious too, and I found myself going back for a second nibble at some rather nice turkey meatballs before I left for the day if I’m honest! Talk wise this morning was probably the most emotional for me so far – but it’s been in a positive and life-affirming way. The whole experience of doing this has been extremely empowering and also very humbling. I may be standing out front today – but any one of the faces I’ve been looking at could have been me – and I them. The feedback they’ve volunteered has been both heartfelt and personal. At times it’s taken my breath away. People have laughed, cried, laughed again and then cried a bit more. I’m glad that one of my NSV’s from yesterday was that people could get their arms around me because I’ve also had lots of hugs! Overall it’s been something of a rollercoaster day so far and truthfully I’m still processing a lot of the things people have said to me both in person and via social media. It’s nice to know in the case of all of us that we aren’t alone in the world. We all share the same fears, hopes and dreams – and I keep seeing this in the assembled faces of the rooms that I’ve talked to – which I guesstimate now total around a couple of hundred people. How amazing that we’re all so alike and that we all care so much about the person next to us in these groups. If I want anything to come out of this internet it’s for more people to treat themselves with the kindness and support that they give so freely in these sessions to me and everyone else. That would be a truly wonderful thing. So pleased that your talk with your home group went well, I’ve been thinking about you all morning! You already know my thoughts/feelings/emotions about your acheivements so I won’t repeat them here. One thing I do want to say is that your last paragraph (“If I want anything to come out of this internet it’s for more people to treat themselves with the kindness and support that they give so freely in these sessions to me and everyone else”) is something that you need to remember next time you’re having a down day. Wise wise words that you need to listen to yourself from time to time! The last few posts about your talks have also got me really excited about going back to group and I’ve transferred my membership ahead of time. As soon as my voucher comes through the post off I go!